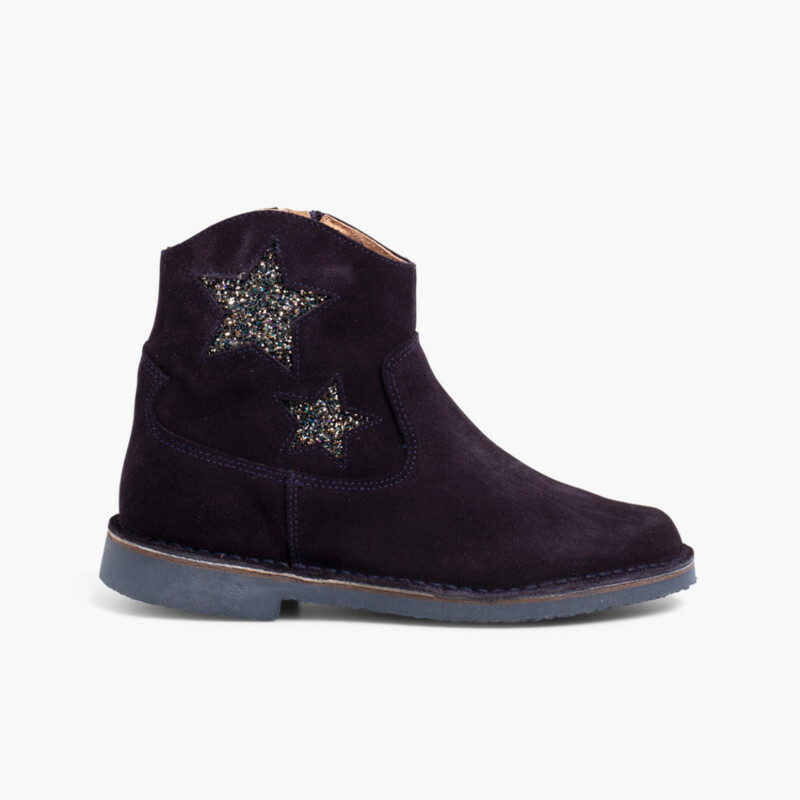 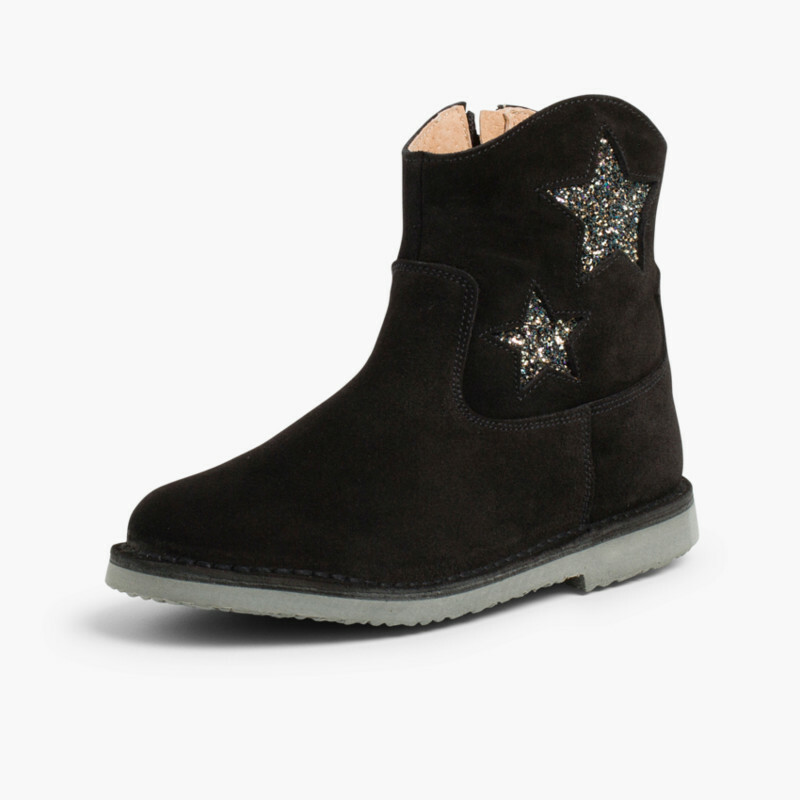 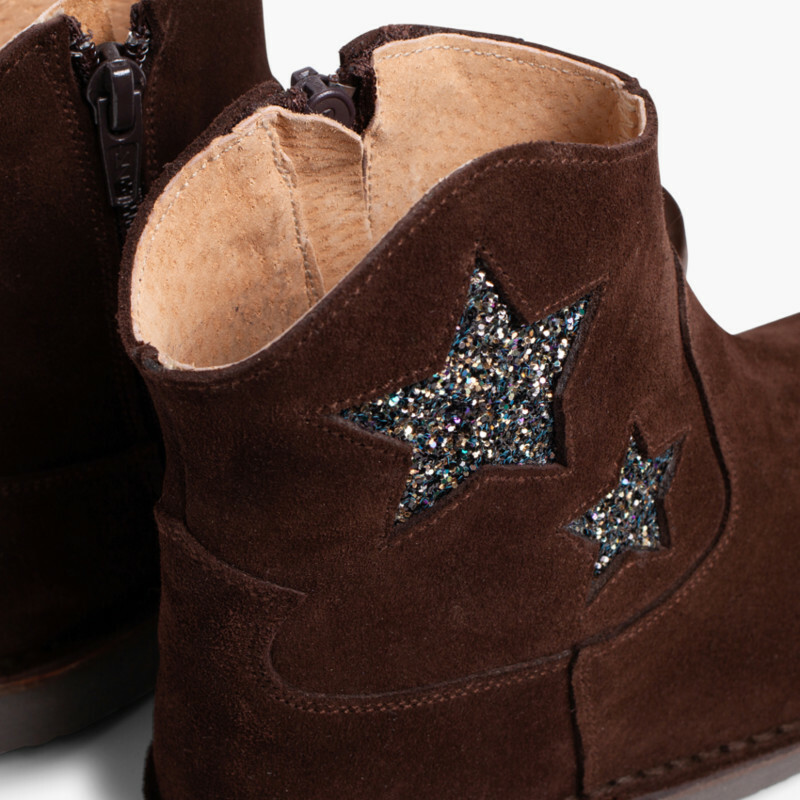 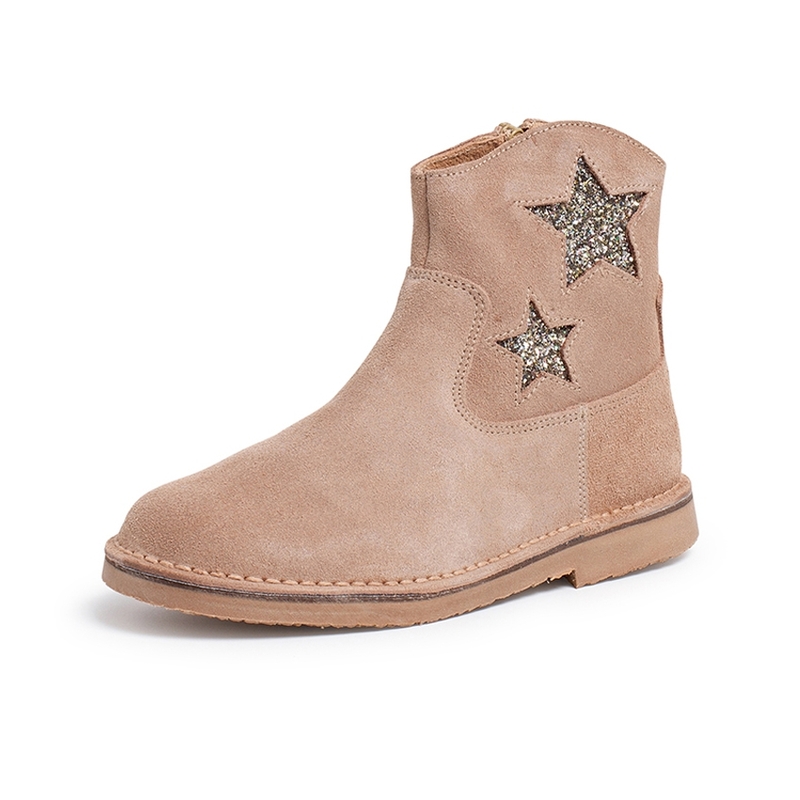 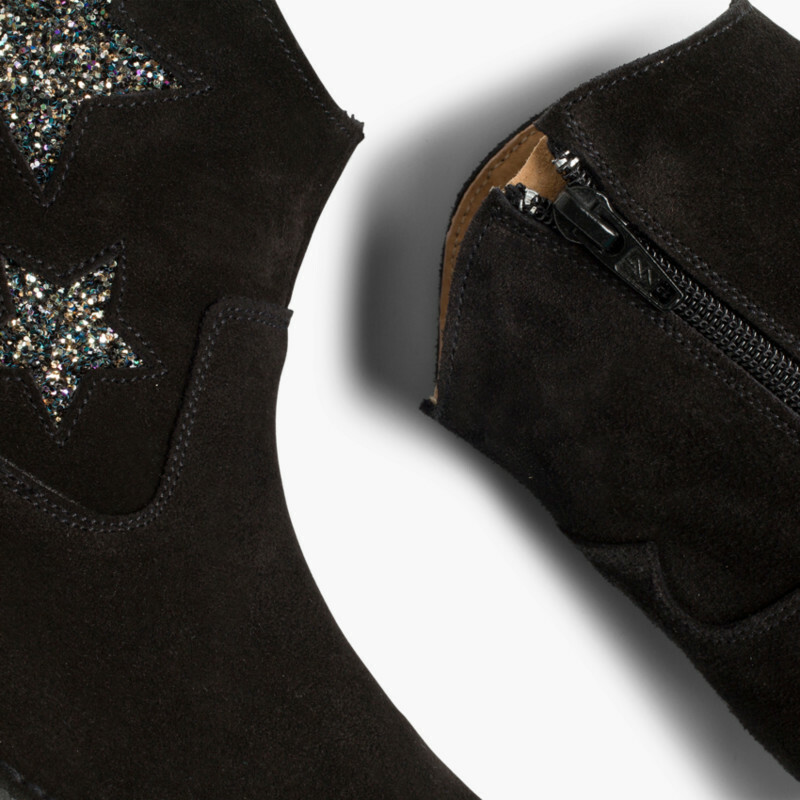 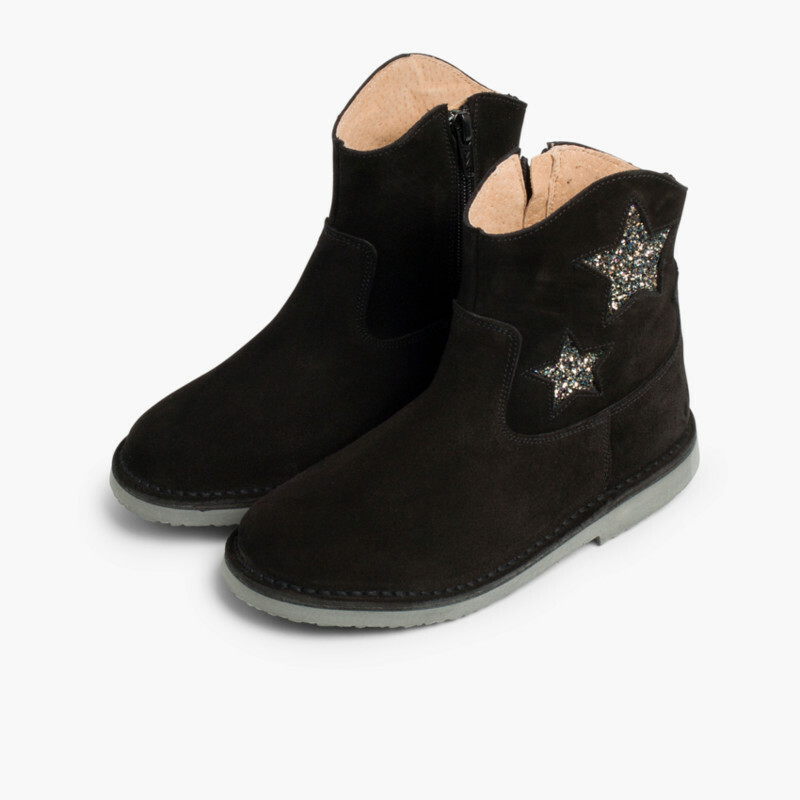 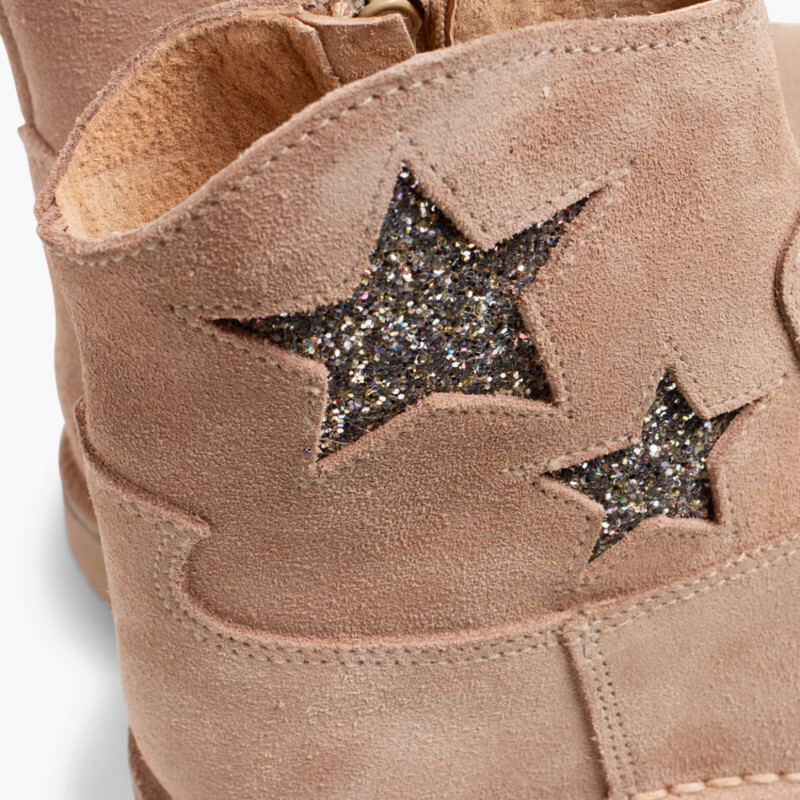 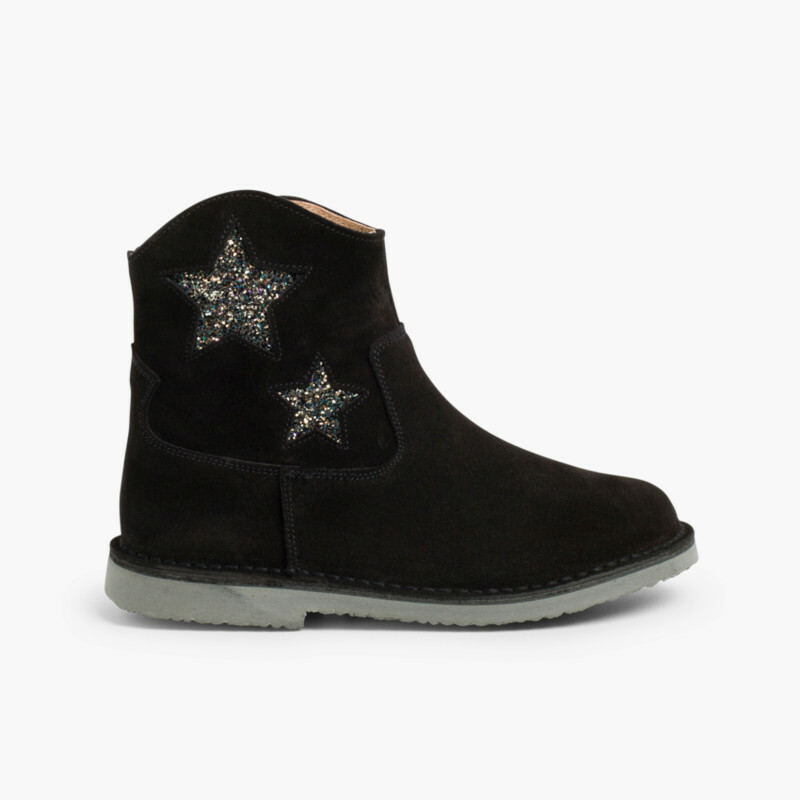 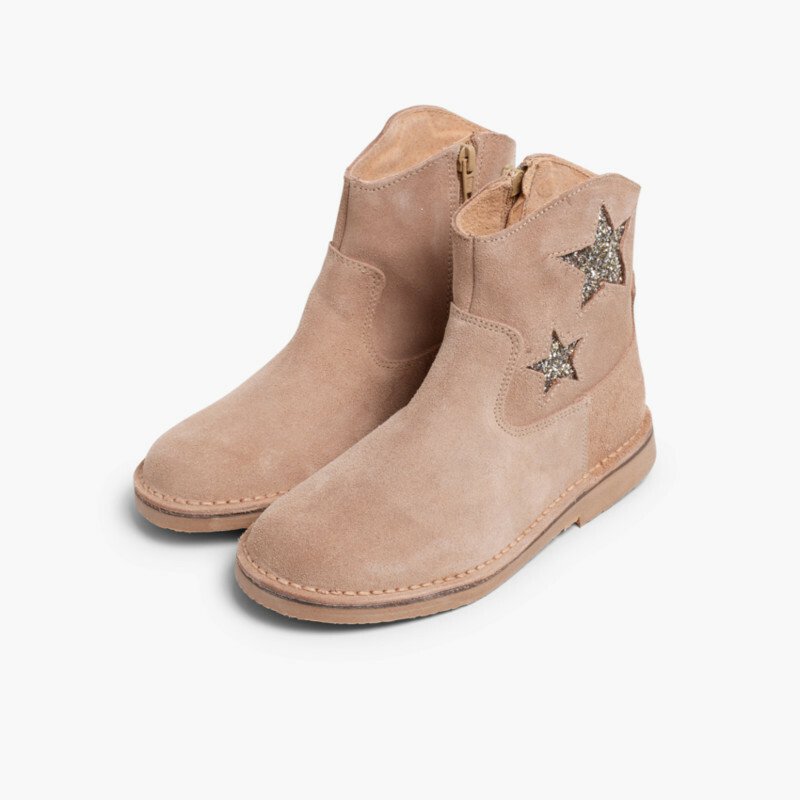 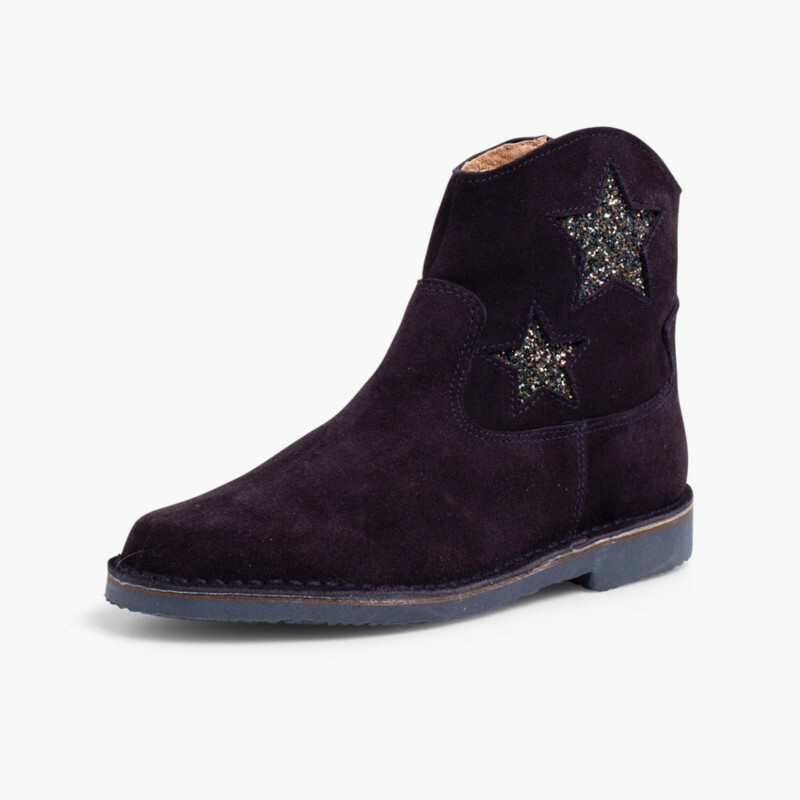 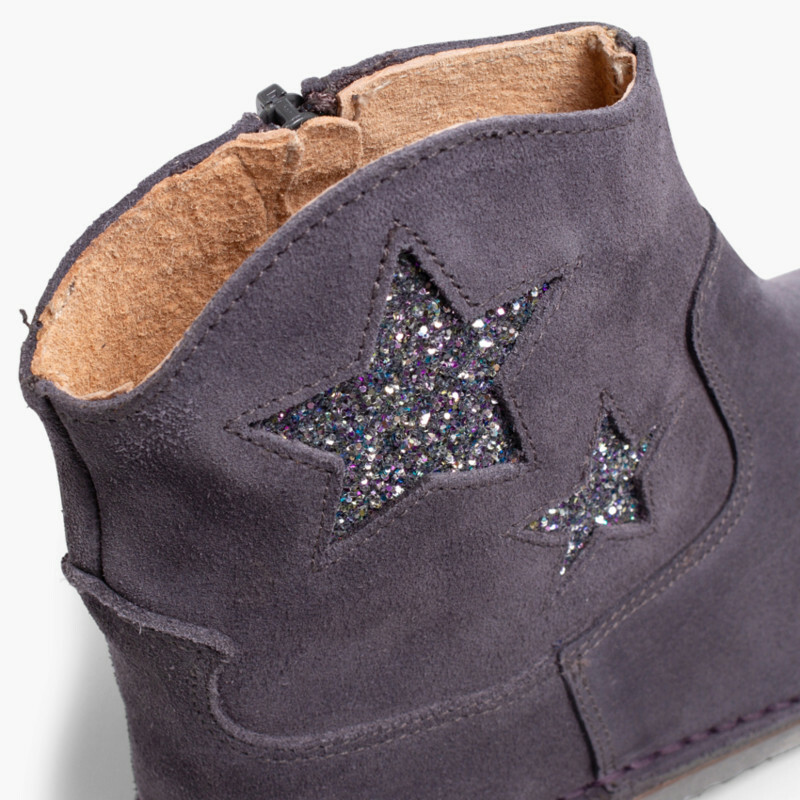 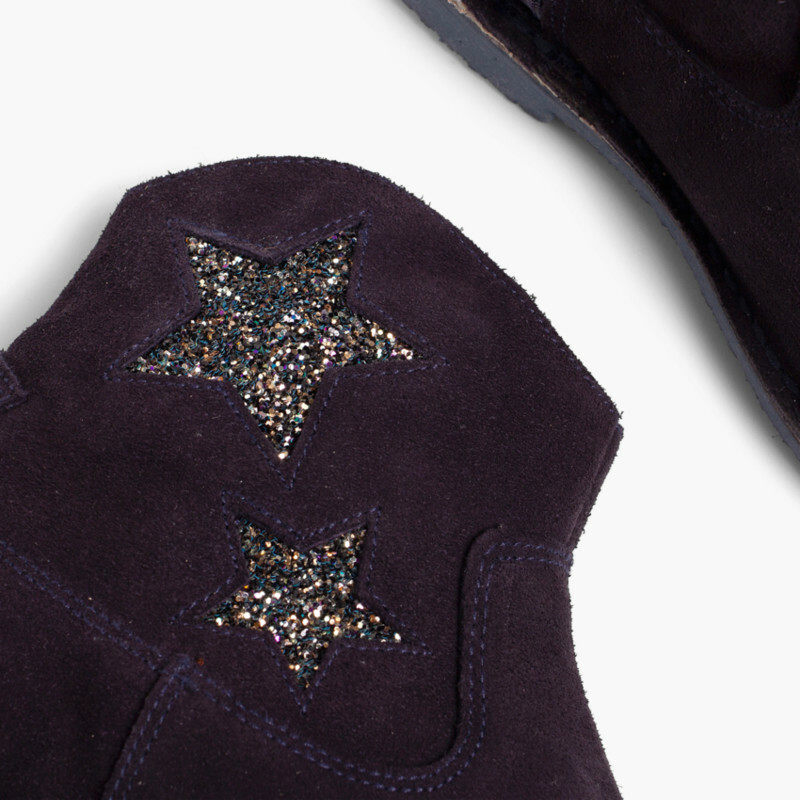 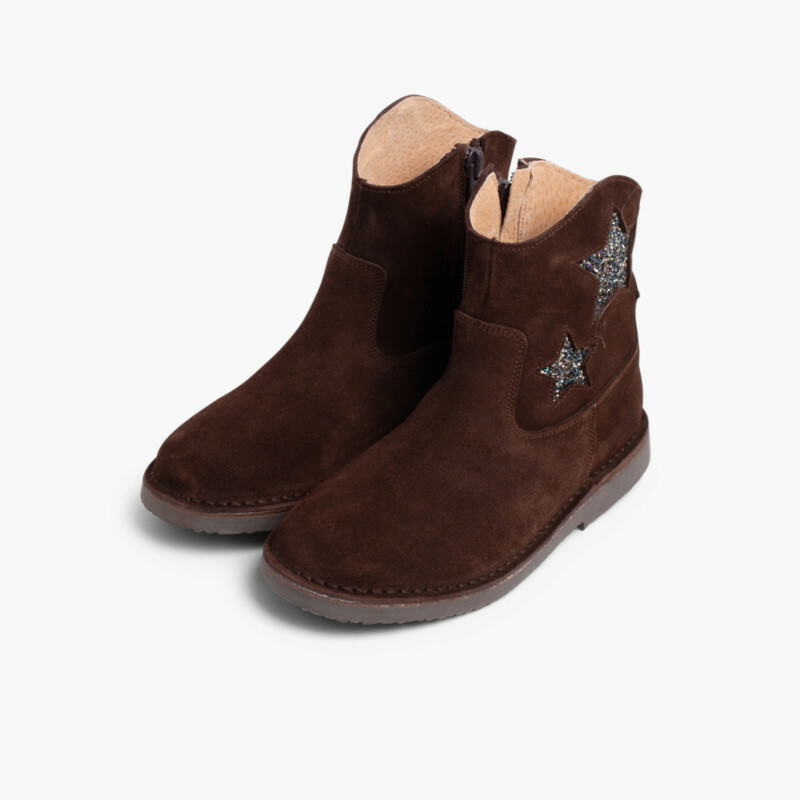 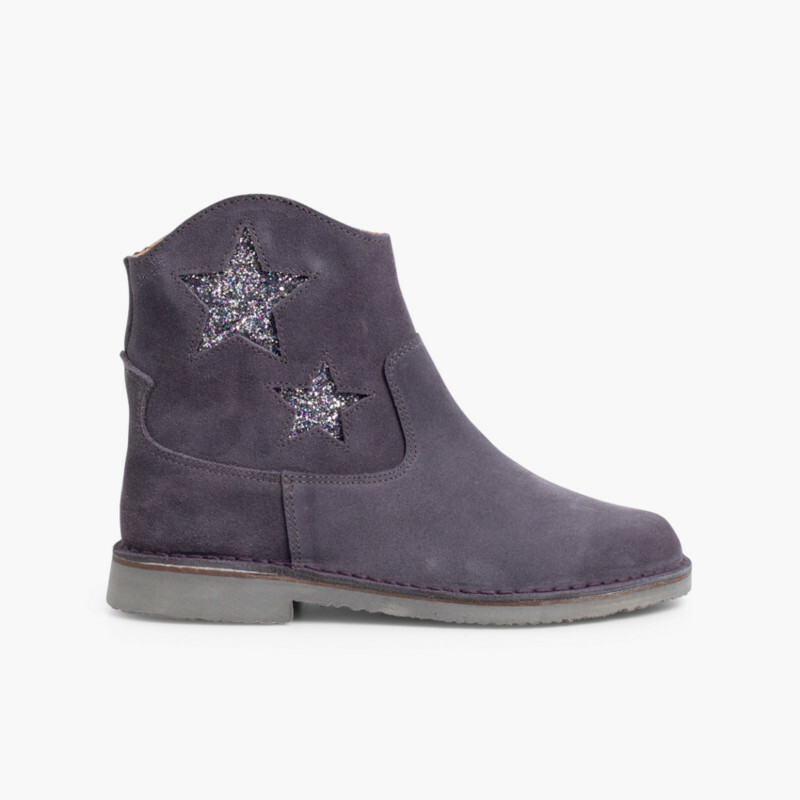 Boots with glitter stars on the side, the latest fashion detail for this autumn-winter. 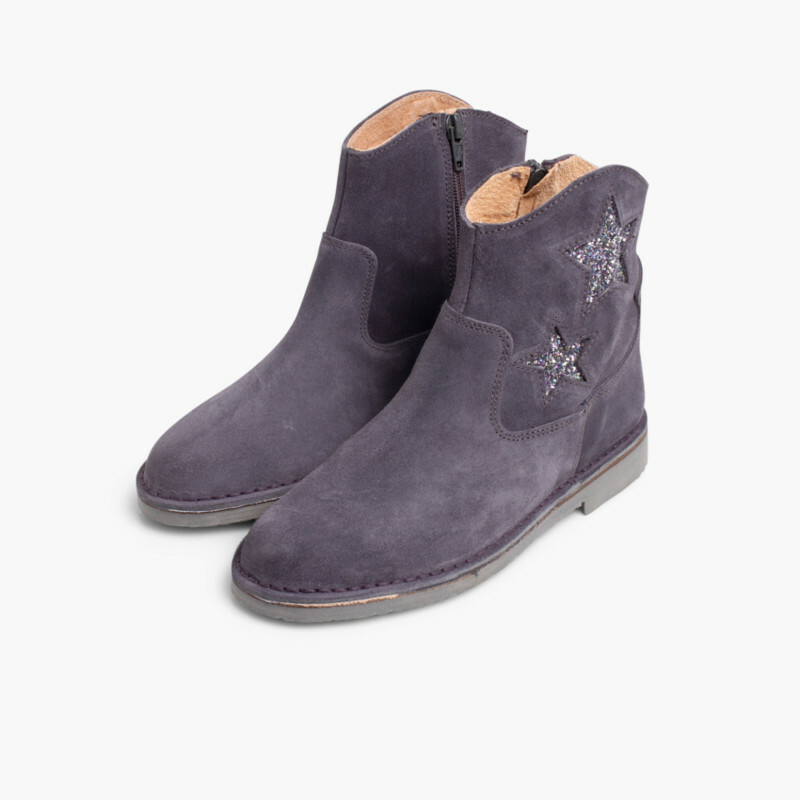 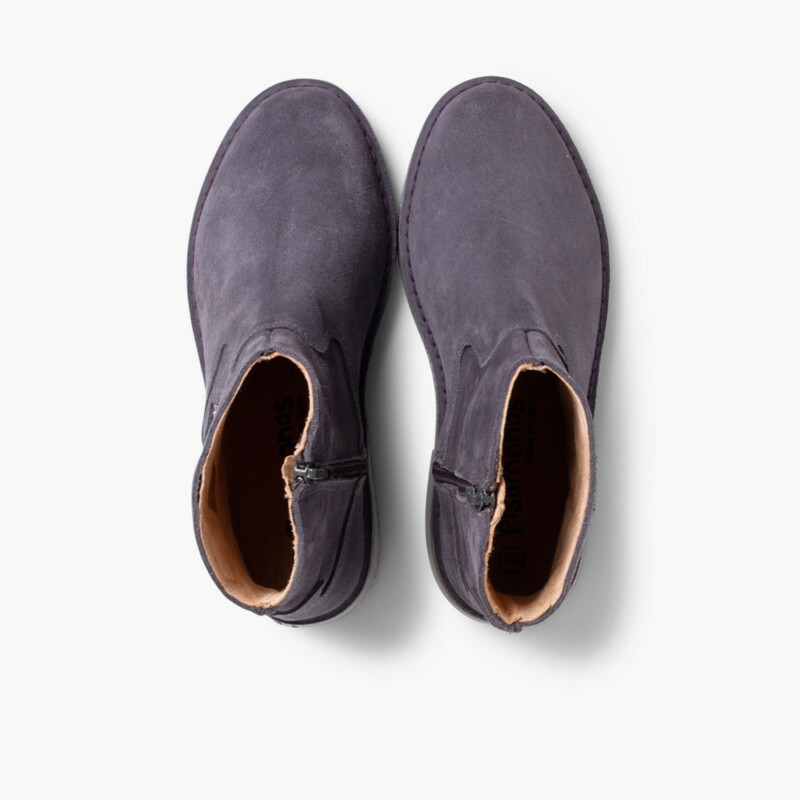 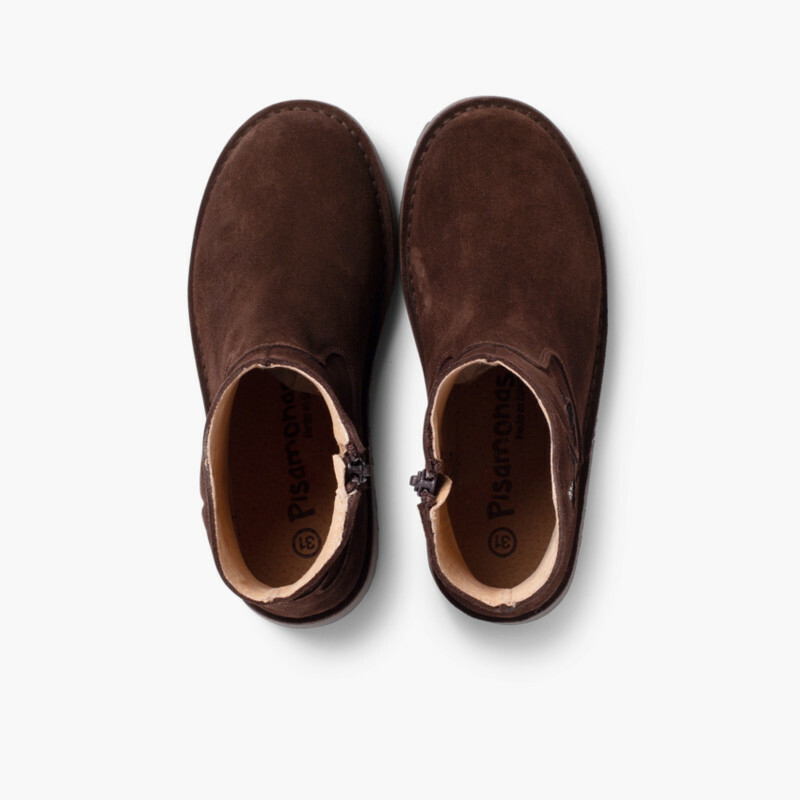 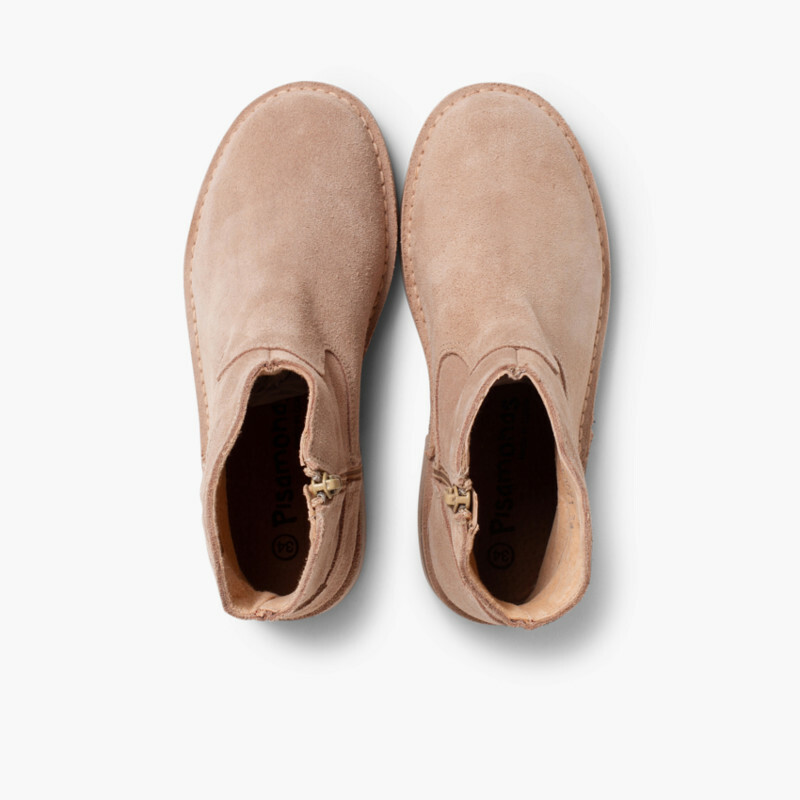 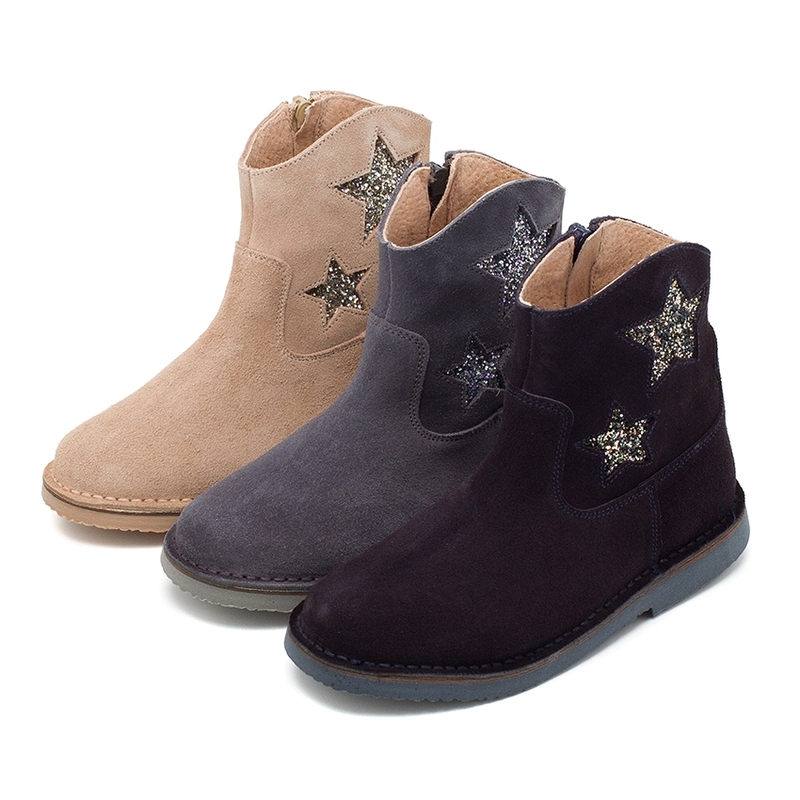 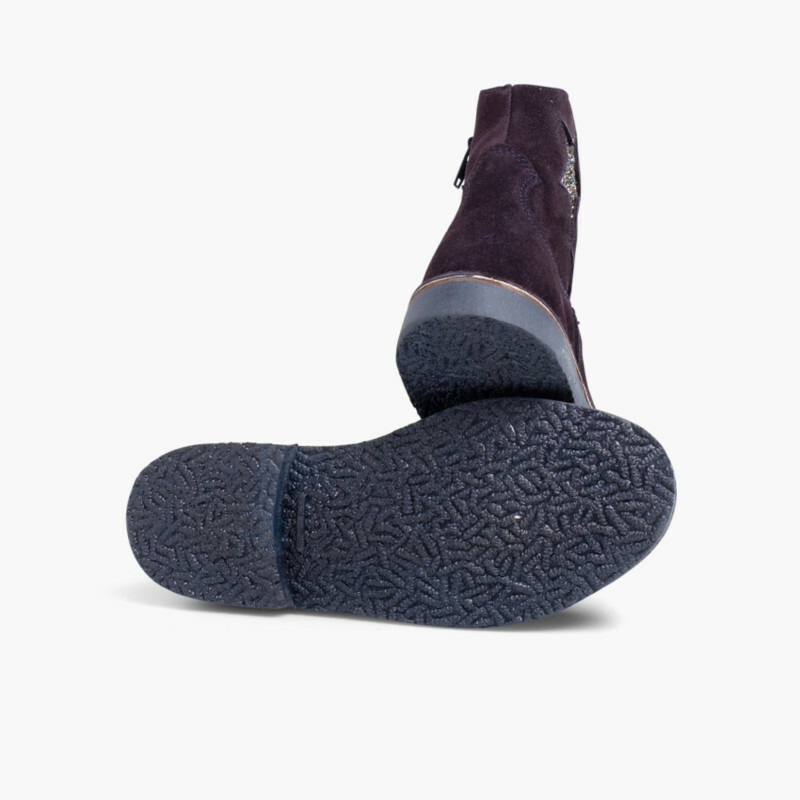 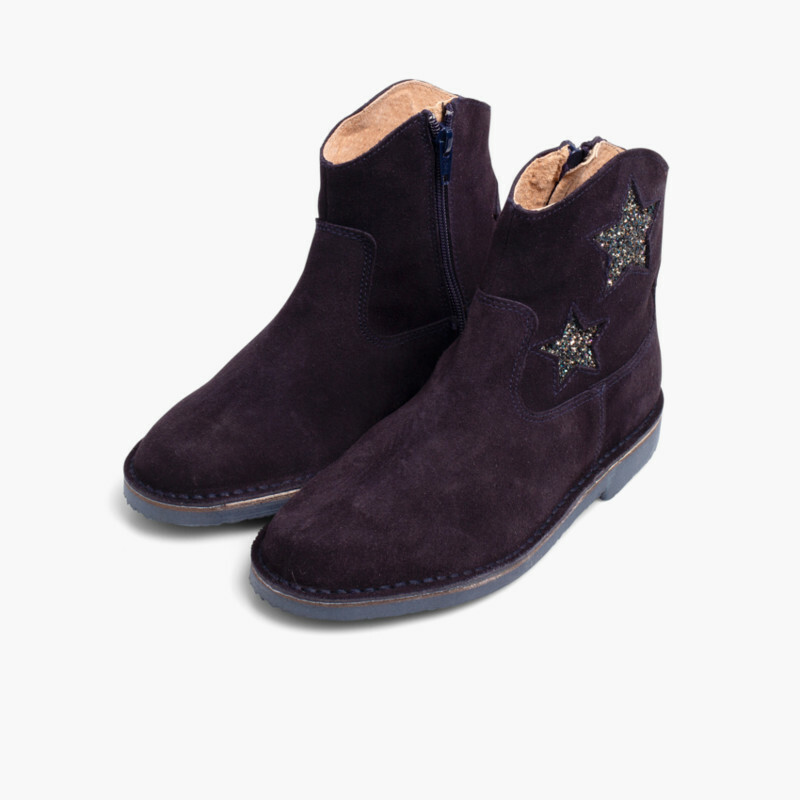 These suede ankle boots have, non-slip rubber soles and soft lining so wearing them will be synonymous with comfort. 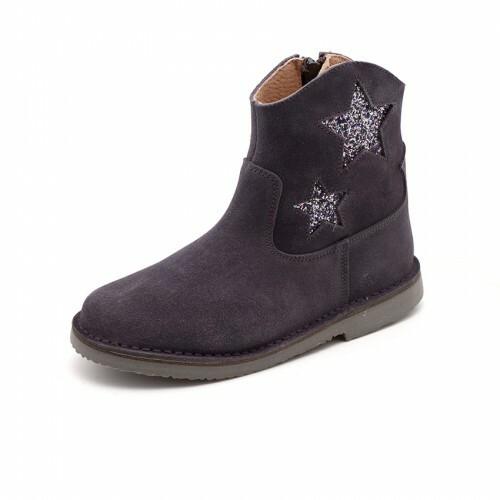 And they look great with trousers, casual looks and to give a more casual and dressed-down look to skirts and dresses if you want. 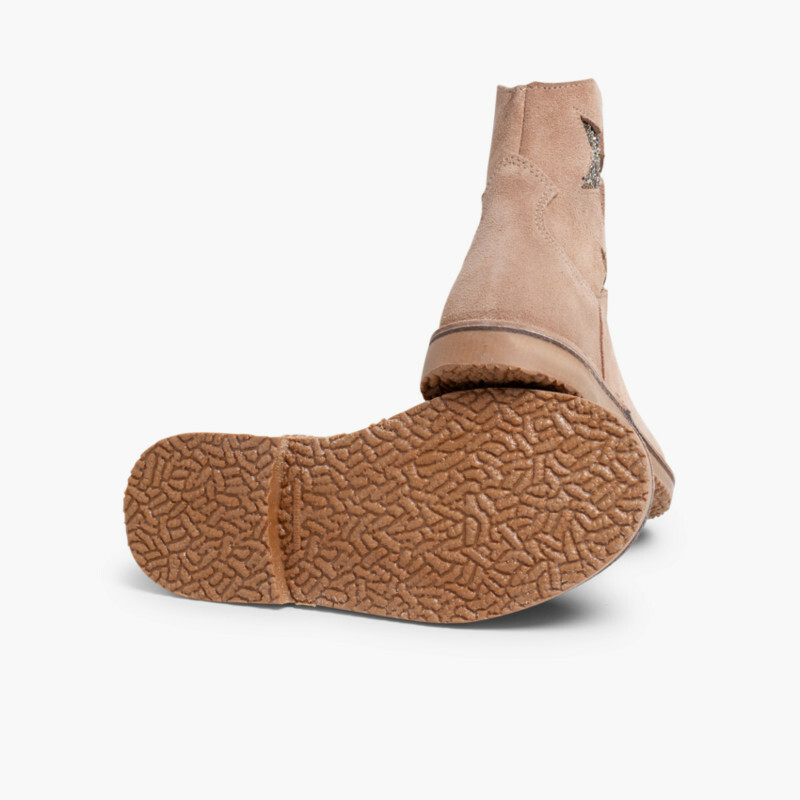 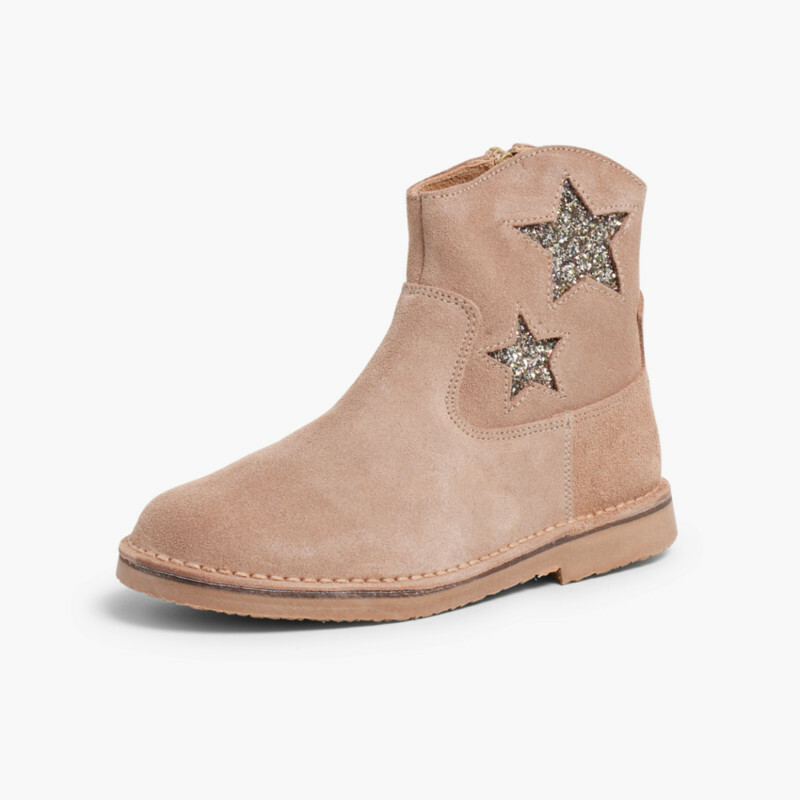 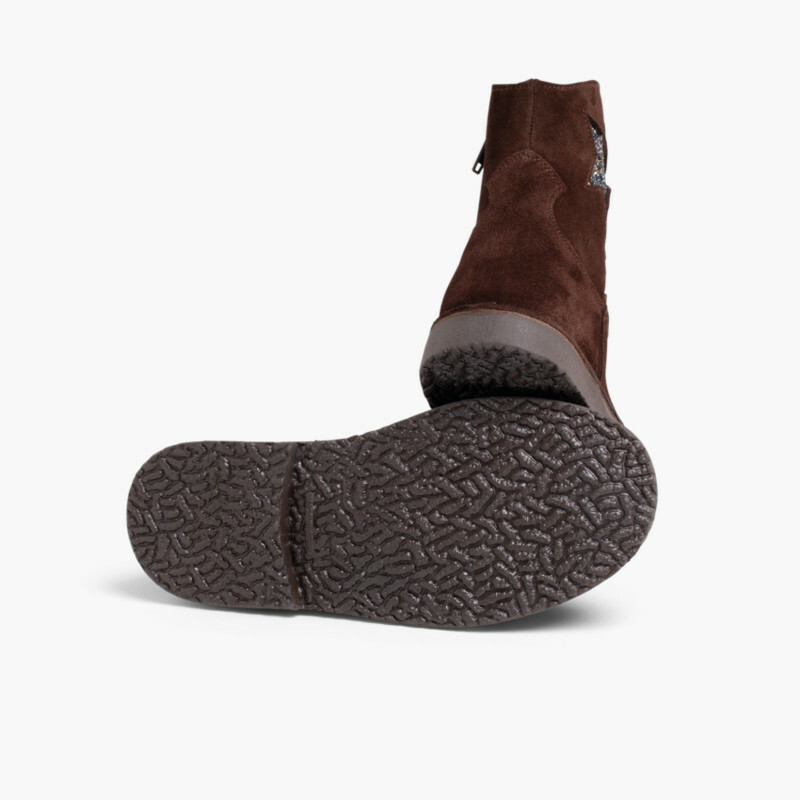 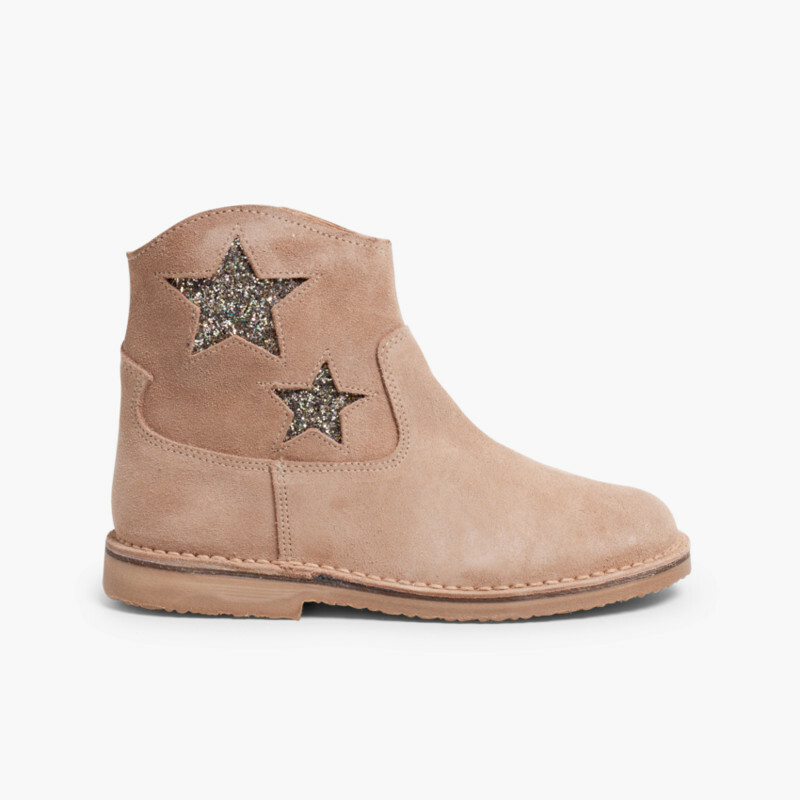 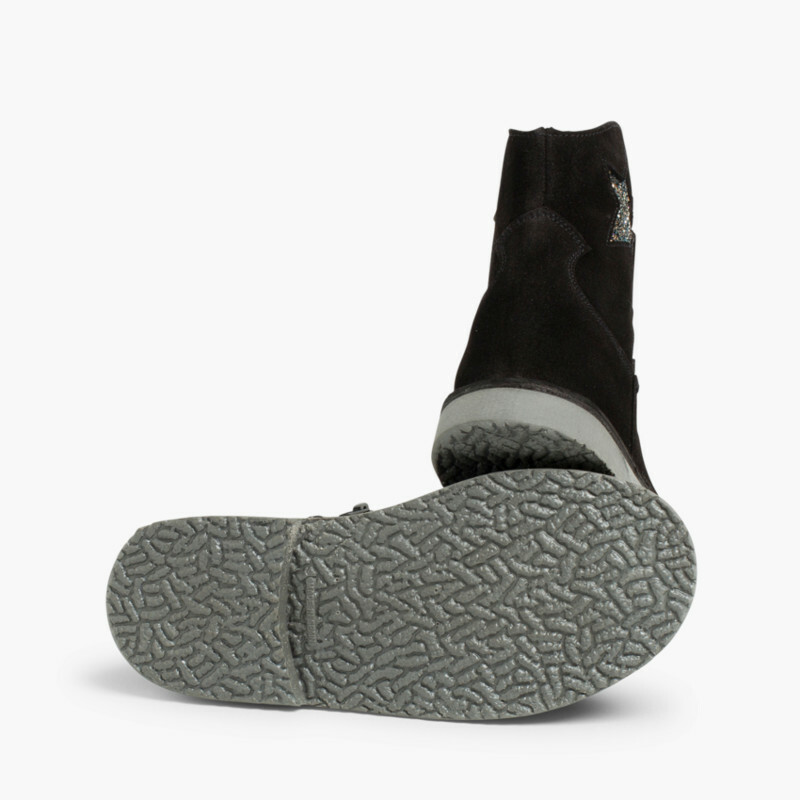 These flat boots have side zips so your daughter can put them on by herself. And as in many of our styles, they come in a wide range of sizes, from 7 child up to 7 adult, for a coordinated look for you and your child. 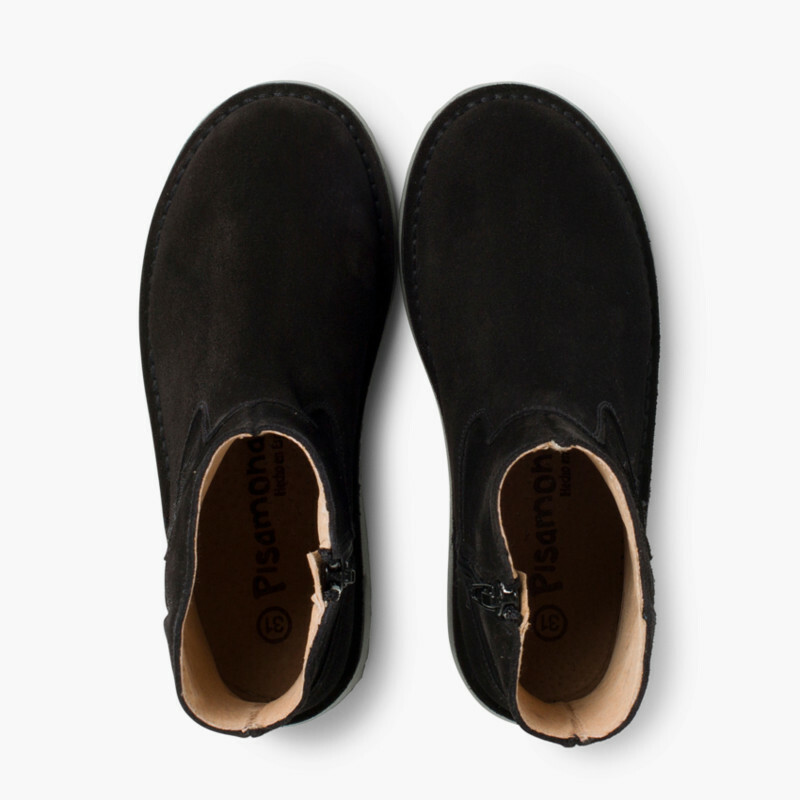 Designed and made 100% in Spain, a guarantee of high-quality. 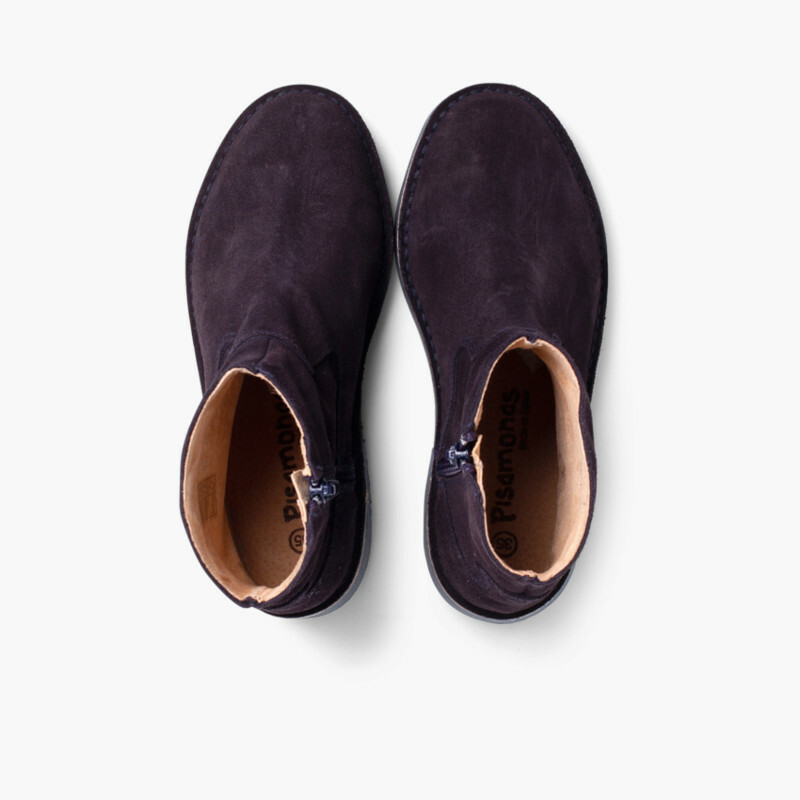 And take advantage of our free deliveries, exchanges & returns.